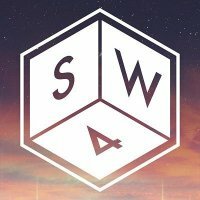 If you're up for both bank holiday all-dayers at Clapham Common at the end of August - South West Four and Get Loaded in the Park, you can save yourself a fiver by buying a combined weekend ticket for £75 (Normal price: £35 - Get Loaded and £45 - South West Four). This year's South West Four takes place on Saturday 29th August, and will feature dance royalty, including Sasha & John Digweed , David Guetta , Eric Prydz , Mark Knight , Timo Maas , Armin van Buuren , Tall Paul and many more. Get Loaded in the Park takes place on the Sunday (30th August), and will feature dance/ crossover acts, including Orbital,Röyksopp, Roni Size and Reprazent, Laurent Garnier, Peaches, Sneaky Sound System, Freeland, Booka Shade, Esser and Marina & The Diamonds, with DJ sets by Pendulum, Felix Da Housecat, Crookers, Chase & Status, Rob Da Bank and many more. Fri 24th May 2019 to Sun 26th May 2019 We Are FSTVLMore Info.. Sat 8th Jun 2019 and Sun 9th Jun 2019 ParklifeMore Info..